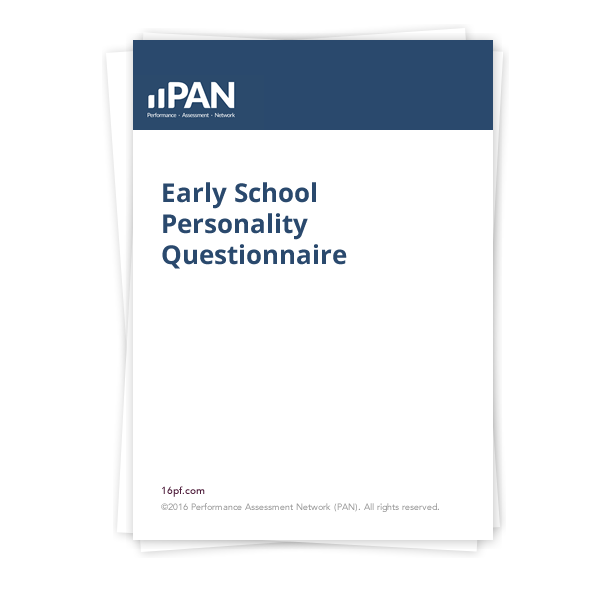 Developed for use by school psychologists and counselors, the Early School Personality Questionnaire (ESPQ) offers insights into the needs and pre-dispositions of young children. It is used in both school and clinical settings in the treatment of emotional and conduct problems in children 6 to 8 years of age. The four ESPQ Second-Order Scales are: Extraversion, Anxiety, Tough Poise, and Independence. ©2016 Performance Assessment Network (PAN). All rights reserved.